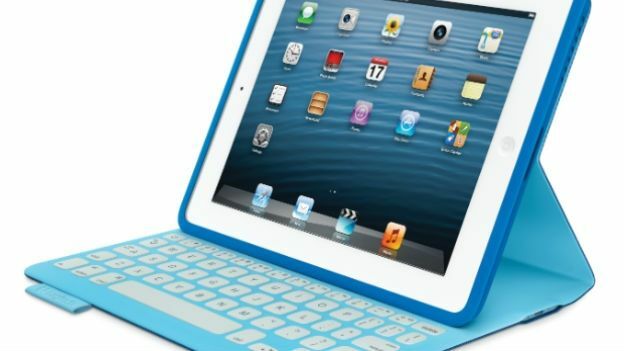 Logitech has bolstered its tablet accessory line-up with a new folding cover for the iPad that features a built-in keyboard. The FabricSkin Keyboard Folio will go on sale in May and bears a bit of a resemblance to the smart cover Microsoft introduced with its Surface tablet. Pick it up and you'll be able to type with gay abandon on your iPad with full-sized keys that are fused into the fabric of the case. Using magnets to snap onto your iPad, the keys themselves connect to the tablet via Bluetooth. As usual, there's different colours available to choose from - including Electric Blue, Carbon Black and Mars Red Orange - and Logitech has brought in outside help to ensure the look of the cover is unique. “I brought my knowledge in colour and design to Logitech to help inspire the selection of materials and develop a colour palette that builds a strong emotional connection to people's lifestyles,” said designer Beatrice Santiccioli. So, there you go - if you're in need of a stronger emotional attachment to your iPad, then this could be the answer. The FabricSkin Keyboard Folio will go on sale for £129 in Europe next month.